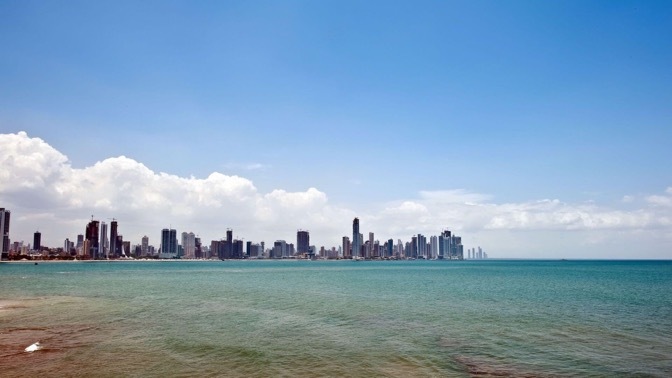 Tour Panama and Costa Rica by yacht! 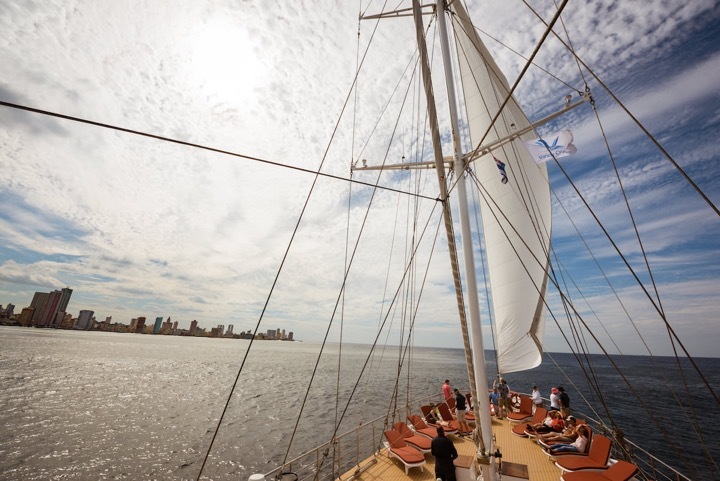 Explore in Costa Rica and Panama during 8 days aboard the 173 feet, S/C Panorama motorsailer. 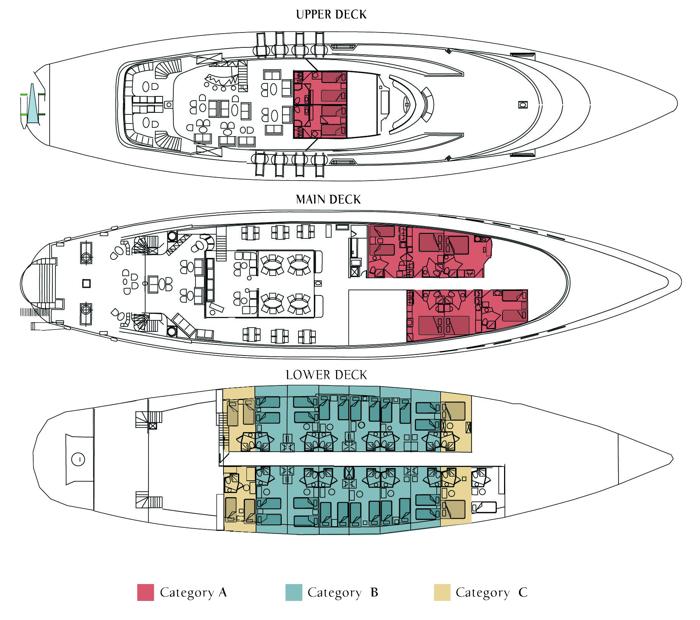 And with only 24 cabins, you will avoid the crowds of the large cruise ships! 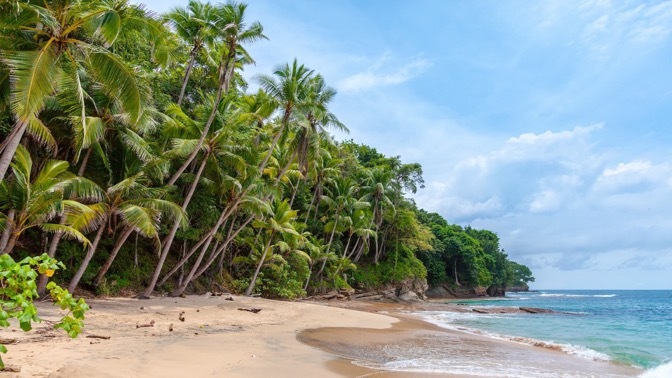 Experience a harmonious balance between conventional cruising and private yachting, along with an exciting voyage of discovery, unraveling the Pacific Ocean coast line of Costa Rica and the Panama. 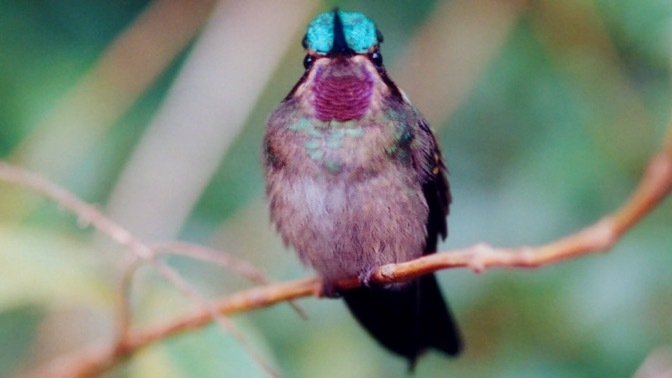 We will reach the Nature National Park of Manuel Antonio and the Curu Nature Reserve. Witness life in the Darrien Jungle, swim and snorkel in Coiba, Curu and Tortuga islands. Each day you will discover a new port of call, a hidden cove with crystal blue waters to cool you, and rich flora and fauna diversity to intrigue you. 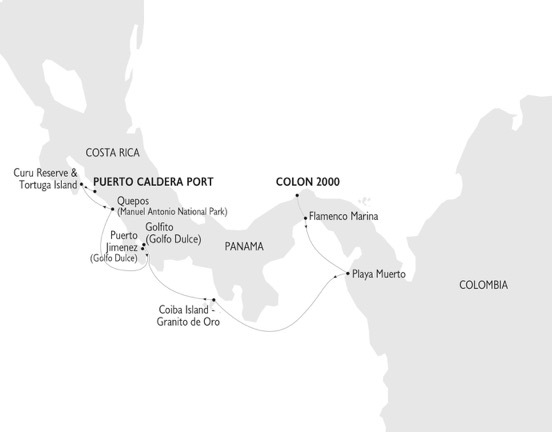 *Two of the four itineraries feature a Panama Canal Crossing. * Contact for current special offers. Accommodation in double or twin cabins with private SH/WC & air conditioning. Full-board: Buffet breakfast and two meals daily, including a Welcome Cocktail, a local Theme Evening, fun BBQ (weather permitting) and Captain’s Dinner. Regular (filter) coffee, tea and drinking water free all day. Use of fishing and snorkeling equipment. English-Speaking Cruise Coordinator Naturalist Guide. Beverages (except those mentioned above). 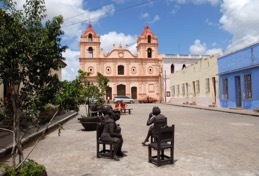 Shore excursions on the islands or other land arrangements. Embarkation- 15:00 to 16:00. Sailing to Quepos. Overnight at sea. Morning optional excursion to Manual Antonio National Park, one of the highlights of the cruise. After lunch you can take the optional Forest Canopy afternoon excursion. Afternoon sailing to nearby Playa Biesanz for an afternoon swim. Forest Canopy tour excursion participants rejoin the ship in Playa Biesanz. Tropical evening with dinner and party. Late evening sailing to Puerto Jimenez, Golfo Dulce. Overnight at sea. We reach Puerto Jimenez early in the morning. Morning optional Osa Peninsula excursion. 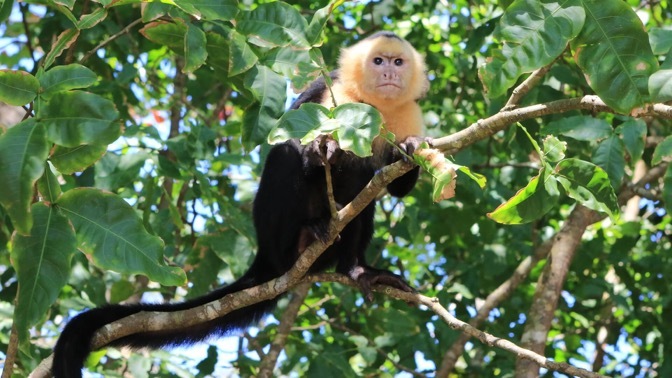 The park is part of one of the biological corridors leading to the Corcovado National Park and offers the opportunity for a smooth walk in secondary forest and interaction with endemic animal life. We return to the ship for a late lunch while we cross Golfo Dulce towards Casa Orquideas. 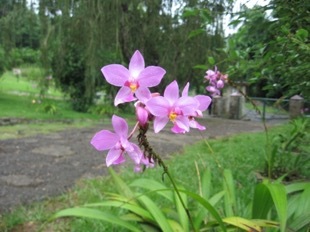 After lunch, we reach by Casa Orquideas by tender, a beautiful flowers sanctuary. Optional excursion in the grounds and time to swim at the end of the visit. We then sail into Golfito. We reach Golfito for Immigration procedures and sail overnight south to COIBA & Granito de Oro islands. Morning arrival in Coiba Island a UNESCO World Heritage Site and the largest island in Central America. Morning walk with our Ship Naturalist who will take you for a short walk up hill to discover the local forest and animal life. 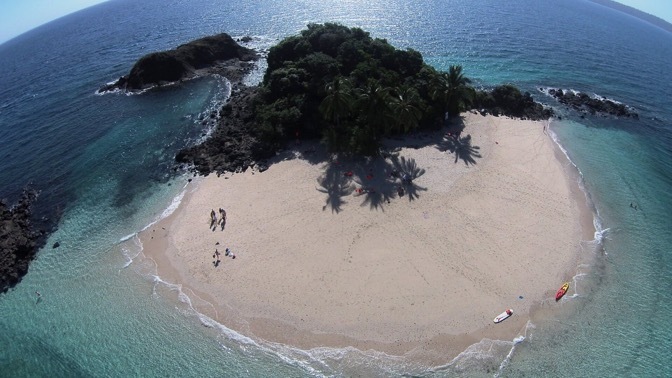 After our beach BBQ on Coiba, we sail to nearby Granito de Oro Island for swimming and snorkeling in a pristine environment. The waters are teeming with marine life. 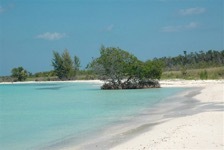 In the afternoon, we leave Granito de Oro and sail to Playa Muerto - Darrien. Overnight at sea. Day at sea. Relax on the sun deck-loungers, enjoy reading a good book or join a lecture of our on-board Expert Guest Naturalist. Late afternoon arrival at Playa Muerto, Darien. Morning optional excursion in the Darrien National park. 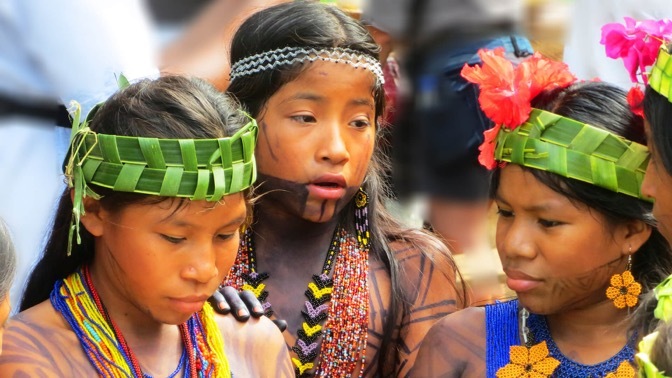 We reach Playa Muerto by tenders (wet landing) and reach an Emberra Village where we are welcomed by Emberra Indians, one of the 7 indigenous groups living in Panama. 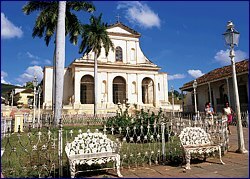 They are proud and very friendly and known for their beautiful handicrafts and well preserved traditions. We will be invited to share their lunch and dance with them. 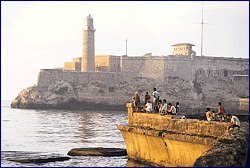 After lunch, we sail to Isla Del Rey – Pearl Islands. Afternoon snorkeling and beach activities. Late evening departure for Panama City. Overnight at sea. 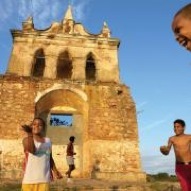 Morning Optional excursion to the Gatun Lake and explore Fort San Lorenzo Spanish Historical Forts. 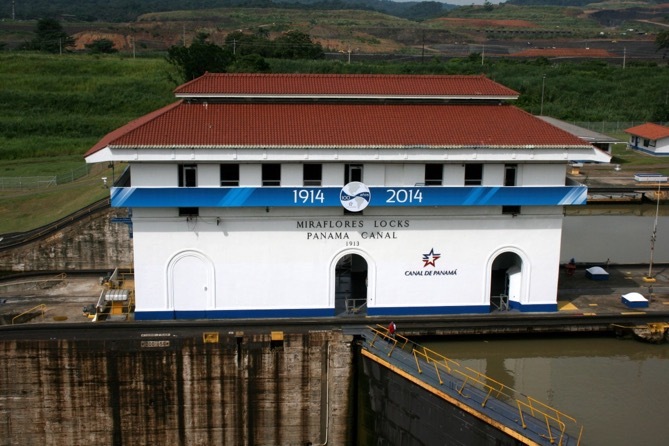 Visit the Panama Canal Expansion Observation Center in Gatun and enjoy lunch there. 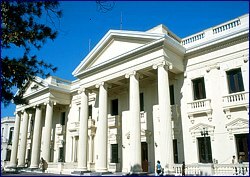 Return to Panama City and visit the Canal Museum and watch the movements of ships in the locks. Farewell dinner and overnight in port. Disembarkation 6 to 9:30 am after breakfast. Embarkation - 15:00 - In Marina Flamenco - Welcome reception and safety drill. 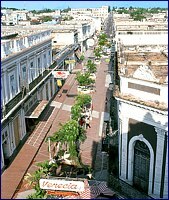 Late afternoon optional walking tour in old Panama City, Casco Viejo. Overnight in port. Morning optional excursion to explore the Gatun Lake and the Fort San Lorenzo Spanish Historical Forts. Visit the Panama Canal Expansion Observation Center in Gatun and enjoy lunch there. 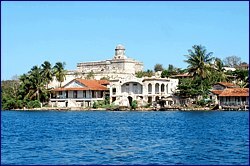 Return to Panama city and visit the Canal Museum and watch the movements of ships in the locks. Late afternoon sailing to Playa Muerto, Darrien. Optional excursion in the Darrien National park. We reach Playa Muerto by tenders ( wet landing ) and reach an Emberra Village where we are welcomed by Emberra Indians, one of the 7 indigenous groups living in Panama. 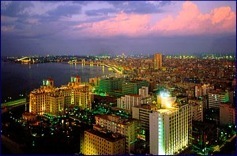 They are proud and very friendly and known for their beautiful handicrafts and well preserved traditions. We will be invited to share their lunch and dance with them. Later in the afternoon we return to the ship. Afternoon sailing to Coiba Island – Overnight at sea. Midday arrival in Granito de Oro, for swimming and snorkelling in a pristine environment. Deck BBQ and sailing to nearby Coiba Island, a UNESCO World Heritage Site and the largest island in Central America. Early afternoon guided walking tour with our Ship Naturalist who will take you for a short walk up hill to discover the local forest and animal life. In the afternoon, we leave Coiba and sail to Golfito. We reach Golfito in the early morning for immigration procedures before continuing our sailing to nearby CASA ORQUIDEAS where we anchor. 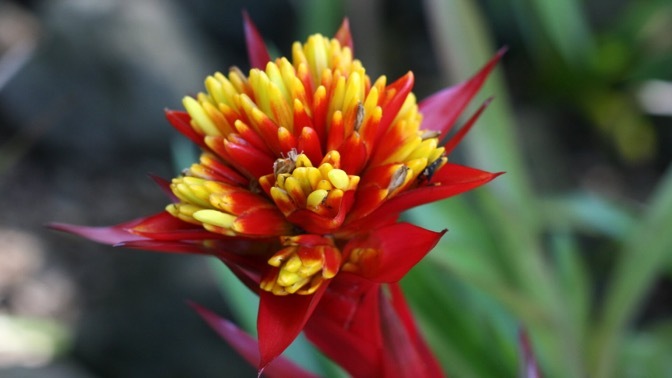 After lunch, we reach by Casa Orquideas by tender, a beautiful flowers sanctuary. Optional excursion in the grounds and time to swim at the end of the visit. We then sail into Golfito. 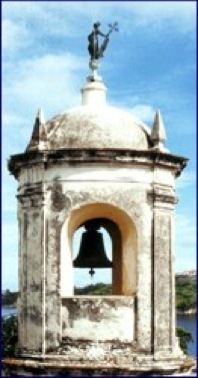 We reach Puerto Jimenez early in the afternoon. Optional OSA PENINSULA excursion. 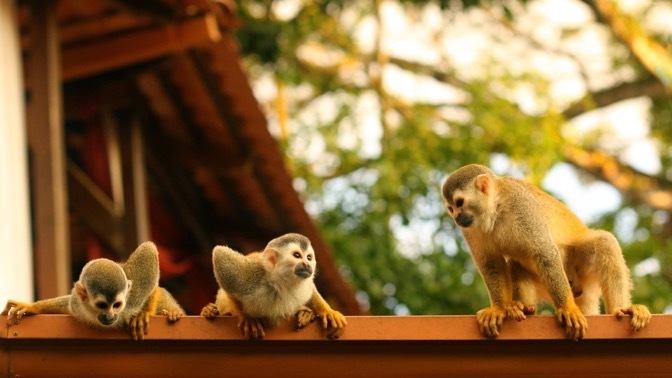 The park is part of one of the biological corridors leading to the Corcovado National Park and offers the opportunity for a smooth walk in secondary forest and interaction with endemic animal life. Overnight at sea to Quepos. 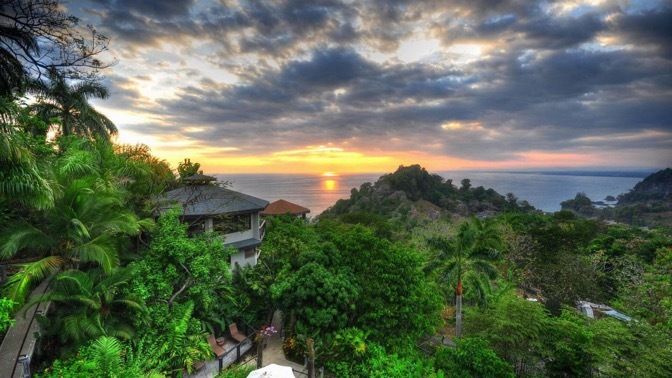 Morning arrival in Quepos and transfer to the Manuel Antonio National Park, for your morning Optional Excursion, one of the highlights of the cruise. After lunch you can take one of the optional Forest Canopy excursion. Afternoon sailing to nearby Playa Biesanz. Playa Biesanz afternoon swim. (Forest Canopy tour excursion participants rejoin the ship in Playa Biesanz). Late afternoon sailing to CURU. Late evening arrival in Curu. Overnight at anchor. Morning optional walking excursion in the Curu Nature Reserve with the local Rangers and our ship Naturalist. Late in the morning we rejoin the ship for a short sailing to Tortuga Island. 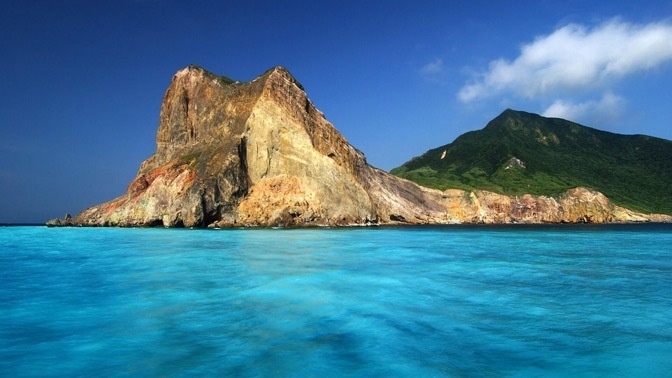 We arrive in Tortuga Island at noon for swimming and snorkeling in the crystal-clear waters of this paradise island before joining in for our Beach BBQ. Tropical Farewell evening with dinner and party. Overnight at anchor. Morning sailing to Puerto Caldera, Costa Rica. Disembarkation 8 to 9:30 am after breakfast. Embarkation 12:00 in Colon 2000. The ship is positioned at the Canal entrance for the Canal transit starting at 17.00 pm. We cross the Gatun Locks and enter the Gatun Lake. Welcome dinner. Late evening we reach and cross the Pedro Miguel and Miraflores Locks before reaching the Pacific side and Panama city in the early hours. Early morning arrival in Panama City. Optional excursion to the Panama Canal Expansion Observation Center in Panama and visit the Canal Museum to visit the movements of ships in the locks. Early morning sailing to Playa Muerto/Darrien, Panama. 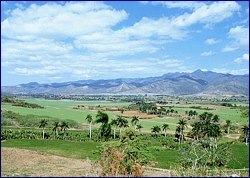 Optional excursion in the Darrien National park. 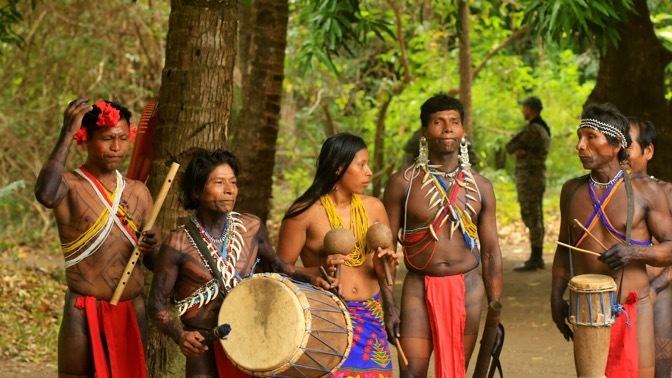 We reach Playa Muerto by tenders (wet landing) and reach an Emberra Village where we are welcomed by Emberra Indians, one of the 7 indigenous groups living in Panama. 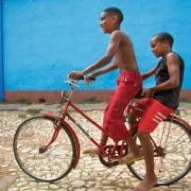 They are proud and very friendly and known for their beautiful handicrafts and well preserved traditions. We will be invited to share their lunch and dance with them. Later in the morning we return to the ship. Early afternoon sailing to Granito/Coiba Island. Overnight at sea. Midday arrival at Granito de Oro Island for an amazing swimming and snorkeling experience in this little paradise island. Deck BBQ and sailing to nearby Coiba island,a UNESCO World Heritage Site and the largest island in Central America. 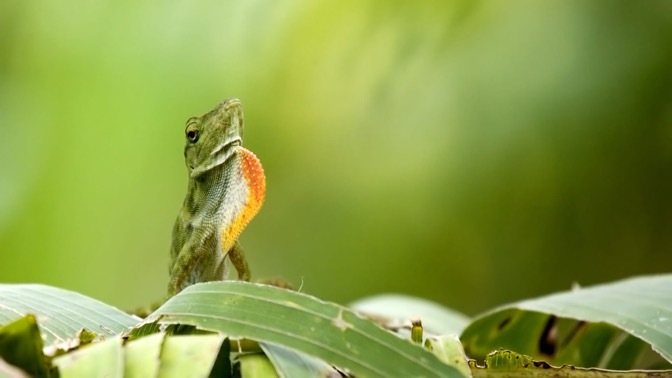 Our Ship Naturalist will take you for a short walk up hill to discover the local forest and animal life. Early afternoon, sailing to Golfo Dulce - Overnight at sea. Morning arrival in Quepos and transfer to the Manuel Antonio Reserve, for your morning optional excursion, one of the highlights of the cruise. After lunch you can take one of the optional Forest Canopy excursion or sail to nearby Playa Biesanz for an afternoon swim. (Forest Canopy tour excursion participants rejoin the ship in Playa Biesanz). Late afternoon sailing to Curu. Late evening arrival in Curu. Overnight at anchor. Morning sailing to PUERTO CALDERA. Disembarkation 8 to 9:30 am after breakfast. Morning optional excursion to Manuel Antonio National Park, one of the highlights of the cruise. 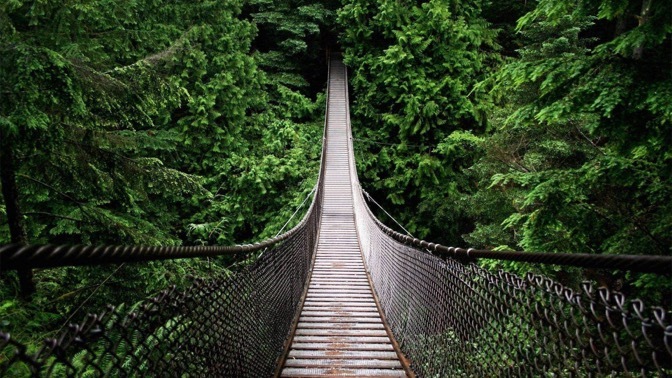 After lunch you can take the optional Forest Canopy afternoon excursion. Afternoon sailing to nearby Playa Biesanz for an afternoon swim. Forest Canopy tour excursion participants rejoin the ship in Playa Biesanz. Tropical evening with dinner and party. Late evening sailing to Puerto Jimenez, Golfo Dulce. Overnight at sea. Morning arrival at Granito de Oro Island for swimming and snorkeling in a pristine environment. The waters are teeming with marine life. 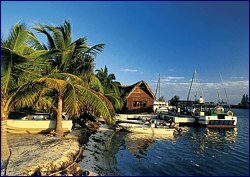 Deck BBQ and sailing to nearby Coiba Island a UNESCO World Heritage Site and the largest island in Central America. Walking tour with our Ship Naturalist who will take you for a short walk to discover the local forest and animal life. Time for swimming on Coiba. Late in the afternoon, we leave Coiba and sail to Playa Muerto - Darien. Overnight at sea. Morning optional excursion in the Darien National park. 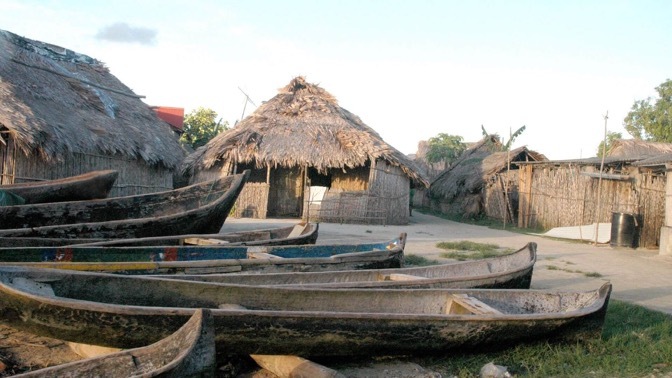 We reach Playa Muerto by tenders (wet landing) and reach an Emberra Village where we are welcomed by Emberra Indians, one of the 7 indigenous groups living in Panama. 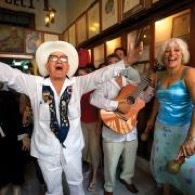 They are proud and very friendly and known for their beautiful handicrafts and well preserved traditions. We will be invited to share their lunch and dance with them. 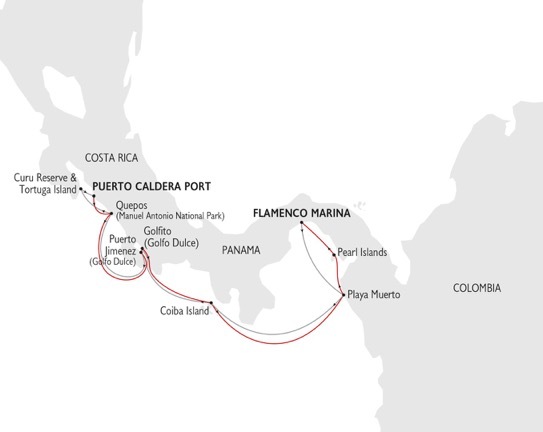 After lunch, we sail to Flamenco Marina, Panama City. Arrival after midnight. Immigration Procedures and overnight in port. Morning Optional excursion to the Miraflores Visitor Center, one of the canal’s most famous locks. 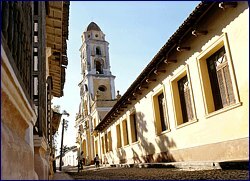 Return to Panama City and continue your tour discovering the old Panama City, Casco Viejo, its architecture, cathedrals and historical buildings. We return to the ship for lunch, and the ship is positioned at the Canal entrance for the Canal transit starting at 17.00 pm. We reach and cross the Pedro Miguel and Miraflores Locks before we enter the Gatun Lake and cross the Gatun Locks. Early morning arrival at Colon 2000. Disembarkation at 8-9 am after breakfast. 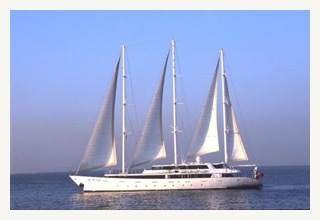 The Panorama is a 3-masted motor-sailer which can accommodate up to 49 passengers in 24 cabins. The Panorama was launched in 1993 and was rebuilt in 2001. The public areas and cabins were renovated in 2015. 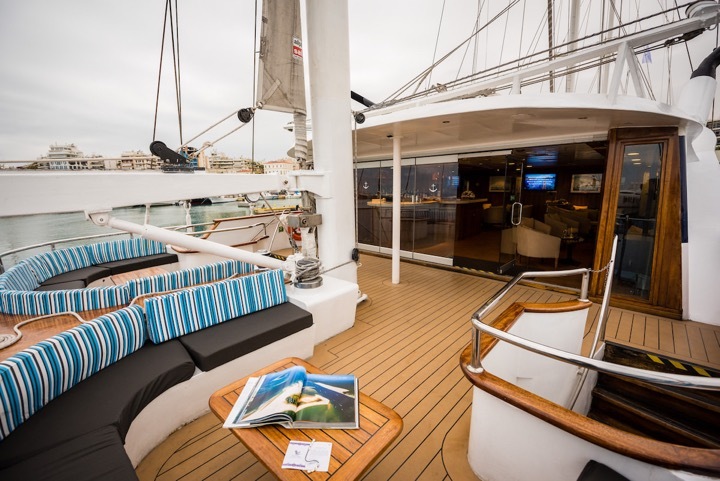 This state of the art sail-cruiser has performed many Atlantic Ocean crossings, from the Seychelles to Monte Carlo and from the Black Sea to Cuba. It offers the highest standard of accommodation, comfort and safety. 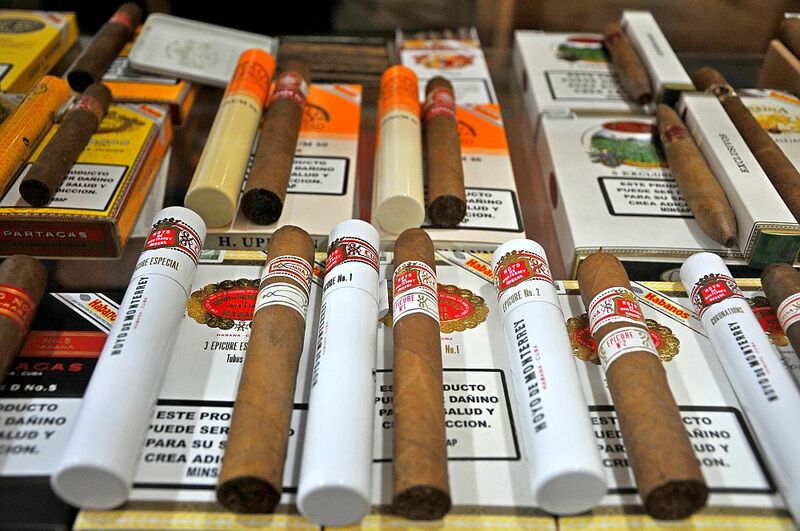 During the day, life on board centers around the outdoor areas including the 2 bars and the sun deck. In the evening you can relax in one of the ship’s two lounges or the library, and enjoy a drink while listening to music. The swimming platform on PANORAMA’s stern enables you to swim when weather and anchorage conditions permit. The PANORAMA’s cabins are located on 3 decks and are finished with wooden furniture and light fabrics. 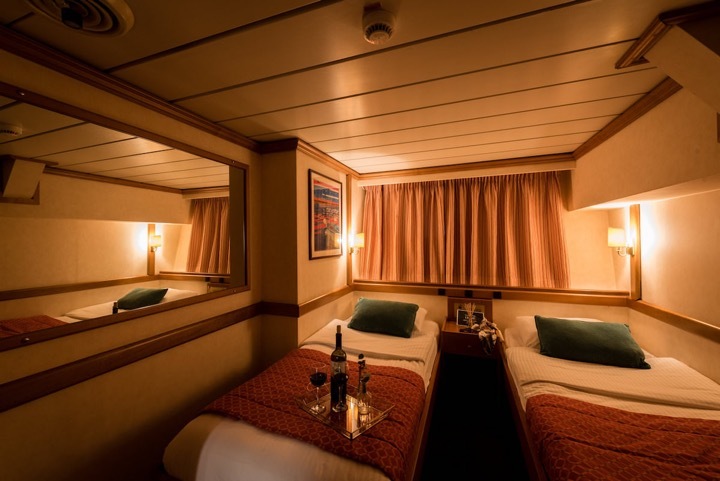 Cabins on the Upper and main decks are equipped with windows while cabins on the lower deck have portholes. The fully equipped bathrooms are finished with marble. 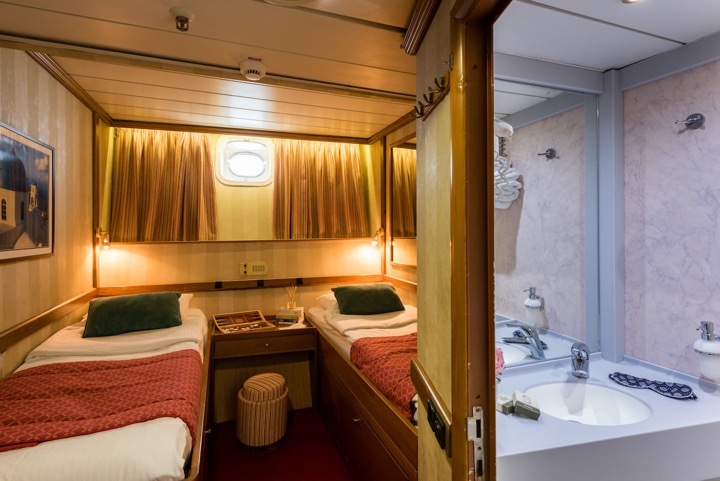 All cabins are air-conditioned and fitted with TV, telephone (for internal use), hair- dryers, mini-fridge, central music, public address system and safe boxes, and have an average size of 12 m2. The Category C cabins are located on the Lower Deck and have portholes. The cabins are air-conditioned and fitted with TV, telephone, hairdryers, mini-fridge, central music, and public address system and safe boxes. The fully equipped bathrooms are finished with marble. LOWER DECK - 2 LOWER BEDS. The Category B cabins are located on the Lower Deck and have portholes. The cabins are air-conditioned and fitted with TV, telephone, hairdryers, mini-fridge, central music, and public address system and safe boxes. The fully equipped bathrooms are finished with marble or corian. UPPER DECK OR MAIN DECK - 2 LOWER BEDS OR 1 DOUBLE BED CABIN. 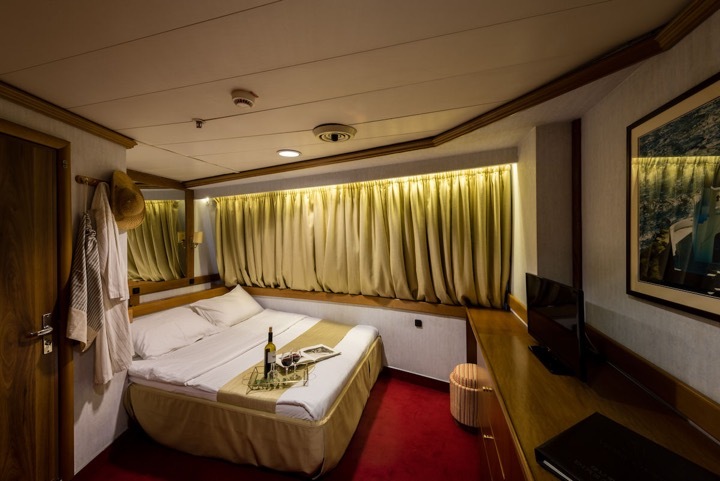 The Category A cabins are located on the Upper Deck or on the Main Deck and have large windows enabling a breathtaking view or the areas you are cruising in. The cabins are air-conditioned and fitted with TV, telephone, hairdryers, mini-fridge, central music, and public address system and safe boxes. The fully equipped bathrooms are finished with marble or corian. 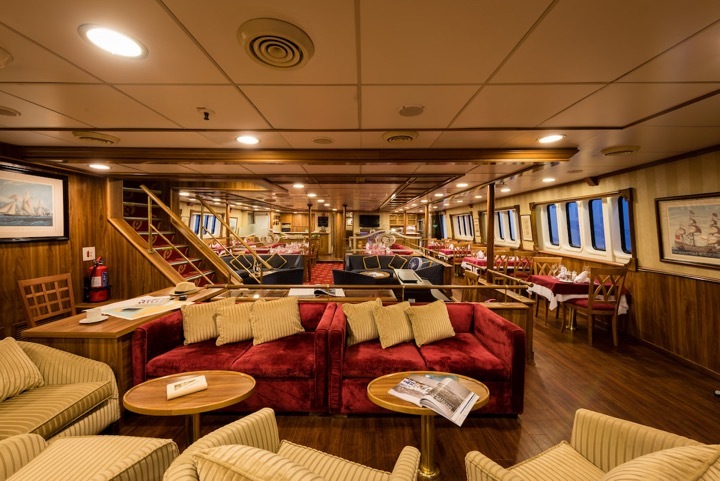 The lounge is situated on the main deck and has a library where you can enjoy a book and look through the floor to roof windows. During the day life on board centers around the outdoor areas, the sun deck and the shaded exterior deck on the aft of the Panorama. The classy spacious indoor and outdoor bar lounge area is located on the Upper Deck and is surrounded by large windows providing beautiful views and is ideal to relax in the evening. 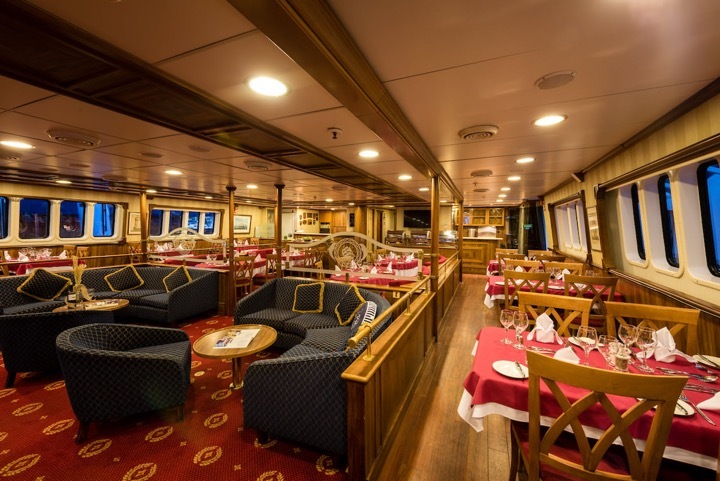 The classy spacious dining room is located in the Main Deck and is surrounded by large windows providing beautiful views and accommodates all guests in one seating.